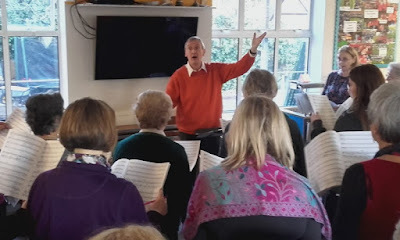 St Cecilia Chorus, Banstead Musical Society: Saturday 28 January: Come and Sing Workshop - Fire up the Choir! Saturday 28 January: Come and Sing Workshop - Fire up the Choir! Thank you to Jeremy Jackman for a lively informal workshop singing Elgar, Bairstow and Irving Berlin.